Apologize for my missing in action...here I am again, with a simple dimple plain butter cake which has been in my draft for quite awhile now. I somehow overlooked at this cake which I made 2 months back! Well who will say no to Butter Cake, me not! A slice or two or more of butter cake with a cuppa tea makes my evening perfect. Irresistible combo! What's yours??? Add evaporated milk and vanilla essence. Fold in the flour gradually. Pour batter in a greased and lined cake tin. Bake at 170C for 45 minutes or until skewer inserted comes out clean. Cool on a wired rack. hi love missing u..:) butter cake always the best . Hi Vijayalakshmi...I too looking for an eggless butter cake. I tried few times adding yoghurt and buttermilk replacing the eggs...but didn't turn out too well...not as soft and fluffy. 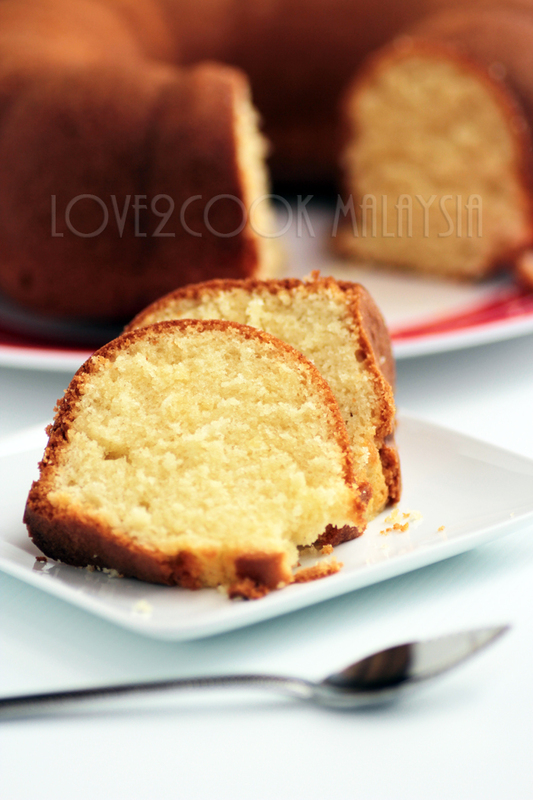 I will never say no to a butter cake :), the photos are so tempting. I'm extra hungry today, feel like eating everything, LOL! hi love...i want one!!! any left??? i'd tried this recipe b4...sure a keeper! 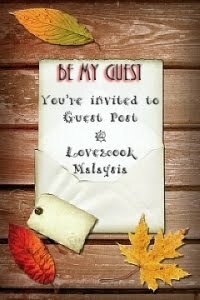 if i'm not mistaken..its originally from amy beh...tapi dah turun banyak tangan dah! Nothing beats a good old fashioned butter cake. i missed blogging a lot. I second Reshmi..am in too..Love this soft & light cake anytime!! hi, nice to know u..
i love plain butter cake.. i like the smell too .. ohh noo..
can I have some ! woww..tgk gambo pun dh tau sedap kek nih love!! alaa..nak minta dh abih ek? hehe! Yes, please. Two slices for me! dear, how are you, must be very busy...This is my all time favourite's simple butter cake, give me one slice please..
Delicous cake. I will just bookmark this and mmake it asap. Yes, two slices, please! 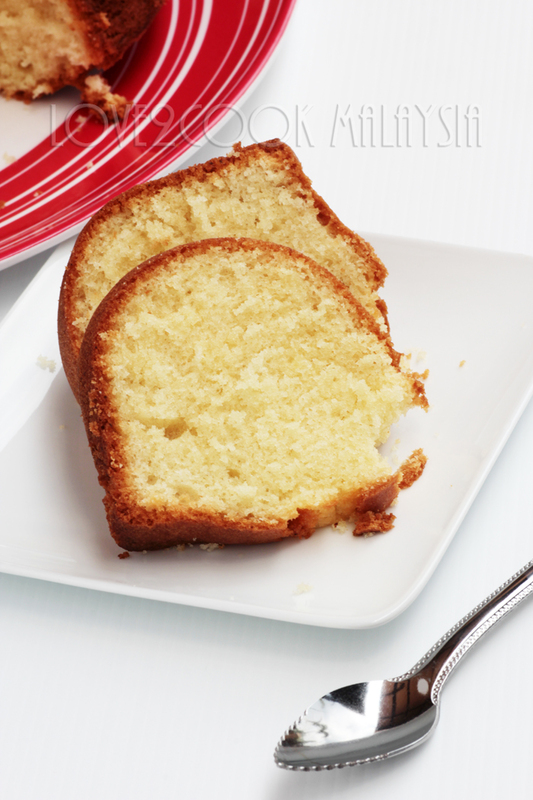 I just made one plain pound cake today, sometimes simple is always the best! Yes, I want one! Anymore....? looks so gebu! Un gâteau délicieux. J'aurai mangé une tranche avec plaisir. Mesti sedap ni..kita memang suka butter cake...sedap hidang bersama teh panas..auuuuu..
hai Love..yesss i want..gebusss mulus kek butter tu...resepi yg simple bleh cuba nti..
cake looks fantastic.. love the beautiful clicks. Your Butter Cake looks really good. Can't wait to try it out for my family. I'm sure the kids will love 'em! salam ziarah, sedapnya, akak biasa curahkan sos cheese ala2 cheezy wedge atas roti mcm ni. Kek ni beratnya berapa ye?